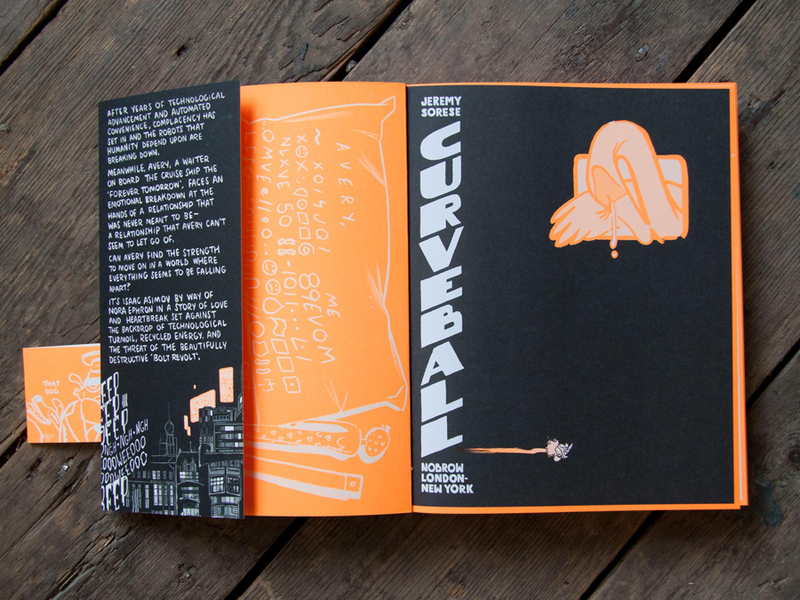 Curveball was published in 2015 by Nobrow Press, after nearly five years of work, spanning multiple continents and countless drafts. "Curveball is a science fiction graphic novel telling the story of a waiter named Avery coping with the ending of a difficult relationship. Having spent years attempting to build something substantial with an indecisive sailor named Christophe, Avery stubbornly holds on despite the mounting evidence against him. The idea of the relationship has eclipsed its reality and in Avery’s already troubled life, the allure of something dependable is a powerful force. Curveball focuses on the duality of hope and delusion. How ignorance is integral to surviving our day to day lives but can be incredibly destructive if allowed to blossom into ‘optimism’." 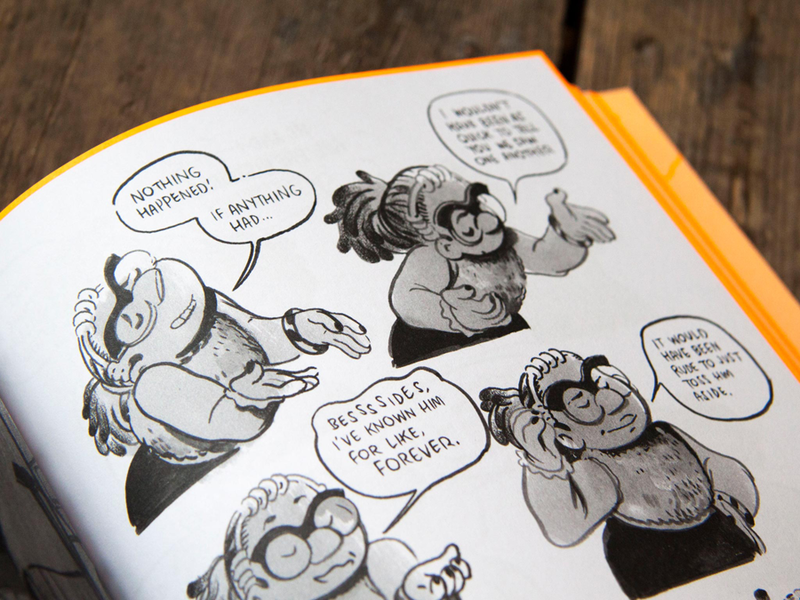 Copies are available to purchase at your local bookstore or directly from Nobrow.